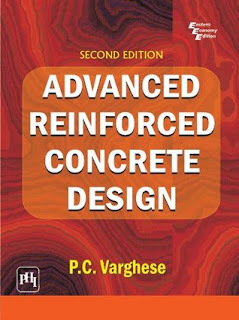 Intended as a companion volume to the author's "Limit State Design of Reinforced Concrete" (published by Prentice-Hall of India), the second edition of this comprehensive and systematically organized text builds on the strength of the first edition, continuing to provide a clear and masterly exposition of the fundamentals of the theory of concrete design. The text meets the twin objective of catering to the needs of the postgraduate students of Civil Engineering and the needs of the practising civil engineers as it focuses also on the practices followed by the industry. This text, along with "Limit State Design", covers the entire design practice of revised Code IS456 (2000). In addition, it analyzes the procedures specified in many other BIS codes such as those on winds, earthquakes, and ductile detailing. A Summary of elementary design of reinforced concrete members is added as Appendix. * Valuable tables and charts are presented to help students and practising designers to arrive at a speedy estimate of the steel requirements in slabs, beams, columns and footings of ordinary buildings. CONTENTS: Preface. Preface to the First Edition. Acknowledgements. Introduction to IS 456 (2000). 1. Deflection of Reinforced Concrete Beams and Slabs. 2. Estimation of Crackwidth in Reinforced Concrete Members. 3. Redistribution of Moments in Reinforced Concrete Beams. 4. Design of Reinforced Concrete Deep Beams. 5. Design of Ribbed (Voided) Slabs. 6. Approximate Analysis of Grid Floors. 7. Design Loads Other Than Earthquake Loads. 8. Analysis of Reinforced Concrete Frames for Vertical Loads by Using Substitute Frames. 9. Analysis of Frames under Horizontal Loads. 10. Preliminary Design of Flat Slabs. 11. Design of Two-way Slabs by Direct Design Method. 12. Shear in Flat Slabs and Flat Plates. 13. Equivalent Frame Analysis of Flat Slabs. 14. Design of Spandrel (or Edge) Beams. 15. Provision of Ties in Reinforced Concrete Slab-Frame System. 16. Design of Reinforced Concrete Members for Fire Resistance. 17. Design of Plain Concrete Walls. 18. Earthquake Forces and Structural Response of Framed Buildings. 19. Design of Shear Walls. 20. Design of Cast in Situ Beams-Column Joints. 21. Ductile Detailing of Reinforced Concrete Frames for Seismic Forces. 22. Inelastic Analysis of Reinforced Concrete Beams and Frames. 23. Strip Method of Design of Reinforced Concrete Slabs. 24. Durability and Mix Design of Concrete. 25. Quality Control of Concrete in Construction. 26. Design of Structures for Storage of Liquids. 27. Historical Development of Reinforced Concrete.